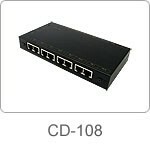 The CD-108 is the 8way distribution of CAT5. It has build-in amplifier. So it can transmit Component Video/ Digital Audio (CV)/Stereo Audio via internet. And the signals will be over 1000 feet. 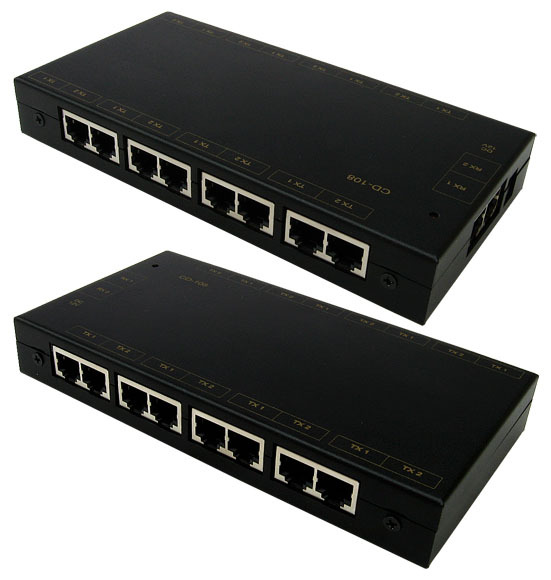 It can connect CAT5 Transmitter (YC-42C, CAT-604T, CAT-101T), Receiver (CAT-606R, CAT-103R, CAT-101R) and easy to extend the receivers any quantity you needed. •1000 feet for HDTV resolution 480p.